Studio Ghibli’s first TV series, Ronja, the Robber’s Daughter, will arrive on Amazon Prime Video this month. The animated adventure, directed by Goro Miyazaki and narrated by Gillian Anderson (in its dubbed English version), was exclusively acquired by Amazon last year for release in the UK and USA. Presented by the Academy Award-winning studio and Saltkråkan (the Astrid Lindgren Company), the series is based on the children’s fantasy book of the same name by Astrid Lindgren, the author of Pippi Longstocking. Since its release in 1981, the book has sold approximately 10 million copies worldwide and been translated into 41 languages and adapted for film and television internationally. Studio Ghibli’s 26-part adaptation is already a full-fledged hit in Japan, winning the International Emmy Award for Best Kids Animation. Ronja, the Robber’s Daughter follows 10-year-old Ronja (Teresa Gallagher), born on a stormy night in a mountain fort, surrounded by her father (Rufus Hound), mother (Morwenna Banks) and a loving band of robbers. She grows to be a strong girl, and discovers that the forest is both a beautiful and frightening place inhabited by strange creatures. She befriends Birk (Kelly Adams), the son of her father’s rival, and so begins the drama of her friendship and family loyalties. Viewers follow along as she explores and understands these key factors in her life, and discovers that seemingly irresolvable choices can finally be made with the help of love and understanding. 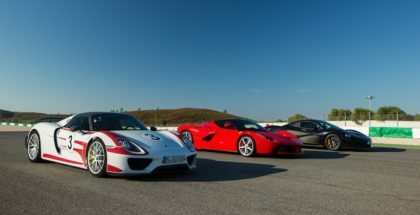 All episodes of the show will premiere on Friday 27th January on Amazon Prime Video. Don’t have an Amazon Prime membership? 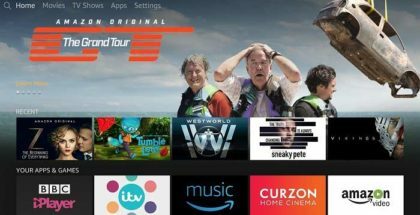 You can also subscribe to Prime Video as a standalone service for £5.99 a month. Browse Amazon’s full line-up of kids’ TV series here. Amazon is expanding its line-up of kids series with Studio Ghibli’s first TV show and a new programme from the creator of Spongebob SquarePants. Ronja the Robber’s Daughter and Little Big Awesome will join Amazon Prime Video’s exclusive slate of original kids programming. The Emmy Award-winning Ronja The Robber’s Daughter is an adaptation of popular children’s fantasy book of the same name by Swedish author Astrid Lindgren (Pippi Longstocking). The 26-episode series is directed by Gorō Miyazaki and presented by Studio Ghibli (Spirited Away, Howl’s Moving Castle) and Saltkrakan (the Astrid Lindgren Company). Ronja The Robber’s Daughter will be dubbed into English, with Gillian Anderson narrating the epic 26-part animated story of a strong, adventurous young girl who grows up exploring a beautiful and dangerous forest filled with mythical creatures. The daughter of a professional robber, Ronja realises the complicated nature of her father’s profession, when she befriends Birk, the child of a rival tribe. Ronja struggles to balance the relationship with her family and the bond with her self-proclaimed brother Birk as she comes to understand the intricate issues of family and friendship and how differences can be overcome with the help of love and understanding. The show, originally called Sanzoku no musume Rônya, was first broadcast in Japan in 2014, but has never been released in the UK. 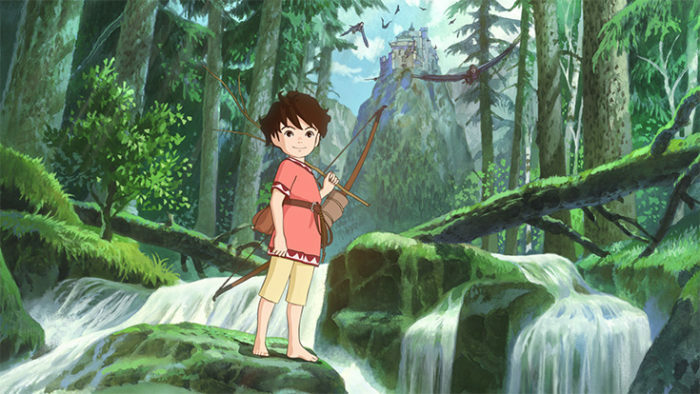 The acquisition of Ronja follows the announcement by Studio Ghibli that it would cease film production, after Hayao Miyazaki’s retirement, but the project is a demonstration of how Ghibli has remained active in other ways, with co-productions including both this TV series and The Red Turtle, directed by Michael Dudok de Wit, which just premiered this week at the London Film Festival. 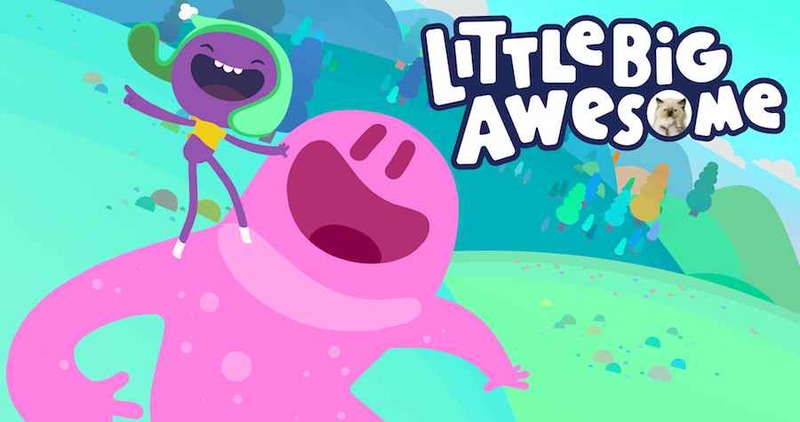 Little Big Awesome was one of Amazon’s children’s pilots from this summer and stars Lennon, a small kid with a hat, and Gluko, who’s, erm, a giant jelly. Combining 2D animation, puppetry, and real live action footage, it joins the duo’s adventure through a universe where sea turtles fly, flowers talk, and tear drops splash around on a hot summer day. The series is created by Tomas Dieguez (TRONCO), executive produced by Ben Gruber (Spongebob Squarepants and Super Jail), and animated by Emmy award-winning studio Titmouse (Randy Cunningham, Metalocalypse). Amazon has also renewed The Stinky & Dirty Show for a second season. The animation, which is based on the “I Stink!” book series by Kate and Jim McMullan, debuted last month and has already notched up a 4.8 star rating from customers, with 87 per cent 5-star reviews. 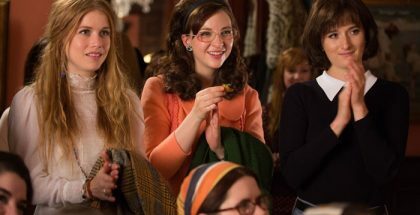 All three new seasons will debut on Amazon Prime Video in the US, UK, Germany, Austria and Japan.